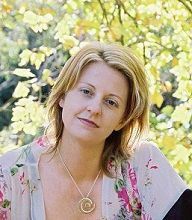 I live in Melbourne, Australia and developed a passion for crime fiction and story telling at an early age, starting off with Nancy Drew and Famous Five before graduating to Agatha Christie at the tender age of eight. I wrote my first mystery novella in Grade 5, and then focused more on maths and science in high school. This lead me to a psychology degree, and I also took lots of subjects in criminal law and criminology. At this time I was also singing, and after I finished my Bachelor of Behavioural Sciences, I studied music full time, gigged a bit and started writing songs – rediscovering my love of writing. A couple of years later I completed a postgraduate certificate in creative writing and started writing in earnest. But it was not an easy or fast road to publication! After writing three unpublished young adult novels, I decided to try my hand at my other early love, crime fiction. 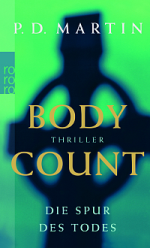 The result was Body Count, my first published novel. To date, I have written five novels featuring Aussie FBI profiler Sophie Anderson (check my books page for more information). I’ve also written the sixth Sophie book as an interactive ebook, Coming Home. You can download this novella at Amazon. Like most crime authors I spend a lot of time researching police (and FBI) procedures, and I’m often checking facts with my pool of experts – a forensic pathologist, a doctor, two profilers and one retired US cop. I’ve also worked as a corporate writer for over 10 years, for companies such as Genesys Wealth Advisers, AXA, BHP Billiton and Momentum Technologies Group, writing award-winning copy for flyers, brochures, web copy, newsletter articles, etc. I’m married with one daughter and one son. And just like my leading lady, I enjoy my exercise – except Sophie never hits snooze at 6am and I do!